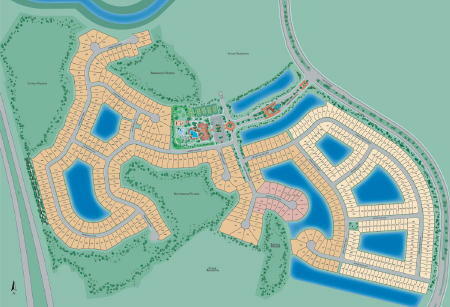 This gorgeous new community features 105 acres of lakes and preserves. 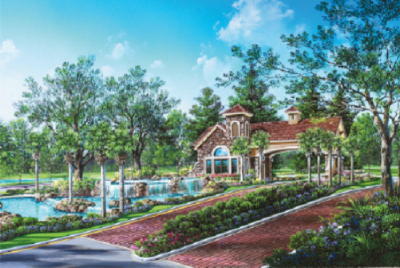 A fabulous gated entrance will feature a stone-clad gatehouse which will be surrounded by waterfalls and enhanced with towering oaks and native trees. Choose from exciting collections of Mediterranean style single-family homes with one and two-story floor plans spanning 1,695 to 3,592 a/c sq. ft. Click here to see model descriptions. Life at this community includes a great recreation site with a community clubhouse, resort style swimming pool, children’s water play area tot lots and much more. 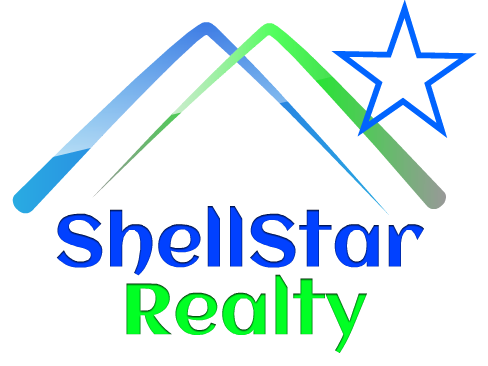 Prices and availability of homes, subject to change. 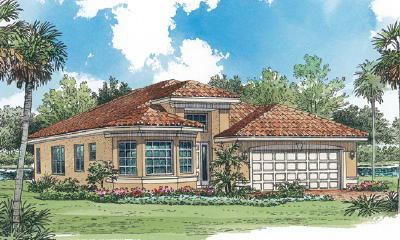 One and two-story single family homes spanning 1,695-3,592 Sq. Ft. under Air. Generous standard luxury features package. Click here for Luxury Standard Features! Community clubhouse with multi-purpose/social room, themed children’s center, fully-equipped fitness center, aerobics/dance studio, locker rooms, and covered patio. Resort style swimming pool and sundeck with ample shaded areas for seating, outdoor whirlpool spa, and a themed children’s water play area with wading pool.